Take a look at every cutting-edge piece in LAKUM’s Fall 2018 collection, right here. Fearless in their approach to separates, LAKUM challenges traditional norms and reinvents the very geometry of lace while exploring the endless expanse of white palette. LAKUM addresses the woman who is willing to change directions and take ownership of her perspective. 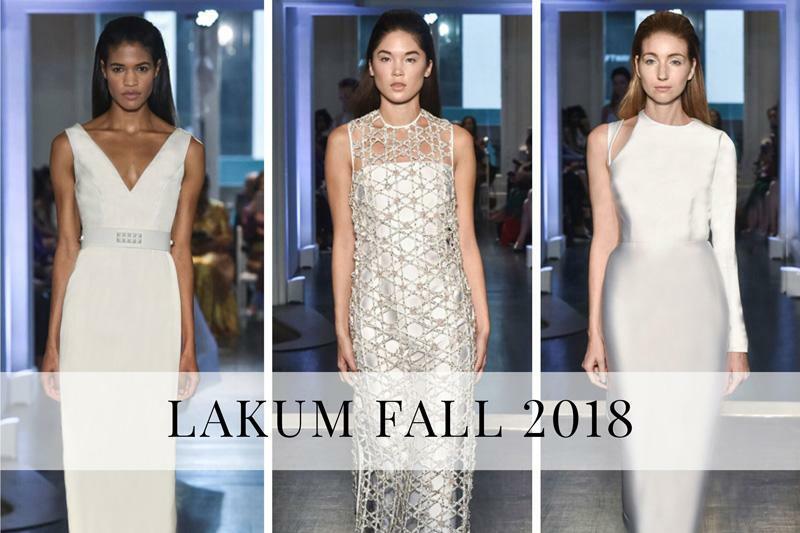 Unexpected fabric choices and design details combined with an utterly modern aesthetic make LAKUM’s 2018 collection a unique, eloquent statement during fashion week.